Each step back up the metal ramp was a struggle; Ringo Flinthammer’s legs were gloriously, wonderfully exhausted. He’d wash up, have a drink at the Golden Keg and buy some fish down at the harbor before heading home. He wasn’t convinced that Beli was convinced that he was going fishing, but he wasn’t ready to talk to her about Brawlpub — not yet, anyway. Ringo reached ground level and his mouth fell open. 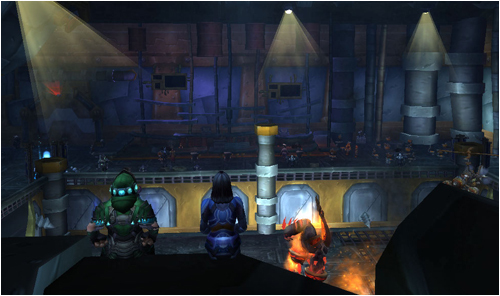 The Stormwind station of the Deeprun Tram was jammed with soldiers of Ironforge in full armor, weapons at the ready. More dwarves, along with Gnomeregan’s finest, were stepping off the tram just as Ringo climbed up onto the platform. “Knight-Captain Flinthammer!” a voice called out. Ringo turned around. It was a dwarf he knew from somewhere — Ahn’Qiraj, he thought. The dwarf, dressed in plate armor that fit him less well today than it probably did a few years ago, snapped off a sharp salute. Ringo glanced at Frostmaw, as though the bear would know what was going on, or could explain it to him. Ringo stroked his mustache with one sweaty, grimy hand, trying to conceal his grin. “Ye bet yer arse, ye will,” Ringo said, heading for the tunnel up to Stormwind at a sprint, his bear at his heels, both of them as eager as children at the Feast of Winters Veil. Ringo Flinthammer nursed his drink and considered whether he might be broken. Not his shoulder — although that clicking noise it made when he rotated his arm suggested that he shouldn’t let shadow priests heal him in future — but something deeper. Ringo had grown up during the First and Second Wars. He’d been a small boy when the orcs first invaded Dun Morogh and had seen war early: It was something forced upon you, something you did to protect your loved ones and your home. He hadn’t fought in the Third War: He had been laid up with an injury following being part of a dragon hunting party in the days before the war broke out, but his brothers and parents had been. He’d lost his parents at the Battle of Mount Hyjal. 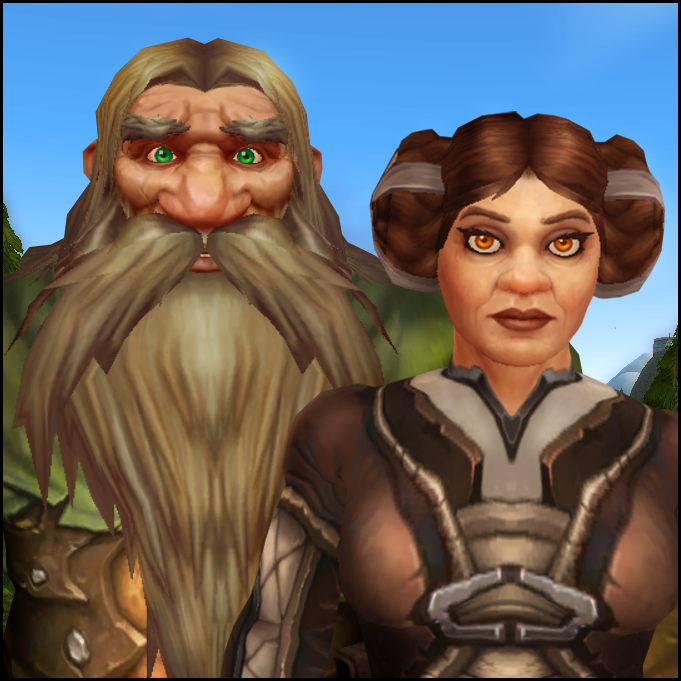 They had gone, knowing what might happen, because they had to, to protect Khaz Modan and their as-yet-unborn grandchildren. He and his wife had fought before the Scarab Gate and then in Quel’Danas for the safety of their kingdom. Ringo himself had marched into Icecrown Citadel with the Ashen Verdict, fully prepared to die for his wife and, especially, his young son. 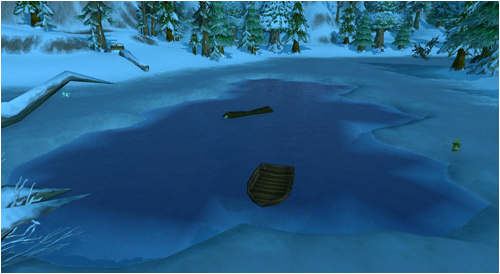 After Northrend, Ringo had retired and taken up the life of a mountaineer in Loch Modan. It took Deathwing’s attack on Khaz Modan and the direct danger posed to his family to draw him back into the life of a soldier. Some dwarves cheated with drink. Truthfully, a lot of dwarves cheated with drink. Others cheated with gold. 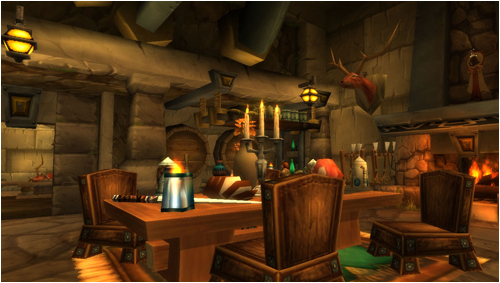 It was an unkind stereotype because it was true: Ironforge was filled with dwarves who spent their days buying and trading commodities, interested in nothing so much as cramming their portion of the Vault of Ironforge with every coin that could be fit inside it. Still others cheated with the anvil, crafting axes or helmets or complex machinery with hammer, tongs and arclight spanners. Ringo Flinthammer dabbled there, but that wasn’t it, either. Ringo cheated on Beli in another way. Lowering his mug from his lips, Ringo turned toward the bar, his chair squeaking on the stone floor. The smith blinked, turning back around toward Ringo from the bar. Ringo nodded seriously, feeling a twinge in his back, bruises he tried to keep from Beli, to keep his wife from asking any questions he didn’t know how to answer. There was silence in the bar, broken only by the sound of Frostmaw, the great white bear, snoring beneath Ringo’s table. “Ha! I knew you had it in you!” Drac Roughcut barked. “Well, uh, thank you for your service, Mountaineer,” Drac said after a moment, a sentiment mumbled into several other mugs. Ringo toed Frostmaw in the ribs, waking the bear.